Before receiving a gaming license, an applicant must undergo a thorough investigation by the Nevada Gaming Control Board. They routinely are rejected if they have a criminal history or have associated with unsavory characters. So then, how did inmates — every one of them a convicted criminal — at the Nevada State Prison in Carson City operate their own casino for 35 years? 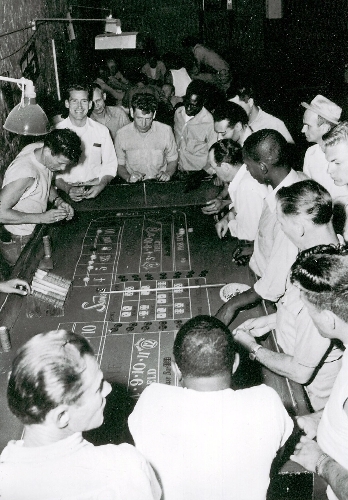 Yep, blackjack, craps, poker, gin rummy, even sports betting were available as recreational activities for the inmates at the state’s maximum security prisons between 1932 and 1967. Inmates operated the "Bullpen," a stone building converted into a casino, on the grounds of the 140-year-old state prison in Carson City. Sometimes the local Kiwanis Club and state agency heads even stopped by the prison casino to drop a few coins. For most of those years, the Nevada State Prison was the state’s only prison, even housing death row. "It was a different time," said Dennis Neilander, chairman of the Gaming Control Board. "They thought it would keep them out of trouble. It wouldn’t happen today." Neilander said that before 1959, gaming control largely fell on county sheriffs. Nevada also had a long history of tolerating gambling even before it became the first state to legaIize gaming in 1931. "I think the games would have been more than honest, because cheating inmates would be scared of the consequences," Osborne said. "If someone got caught cheating, they might have to be transferred out of state for their own safety. You wouldn’t have been very safe there." Obsorne, 61, served a short stretch in the Nevada State Prison in the early 1990s and got to know some of the older inmates. 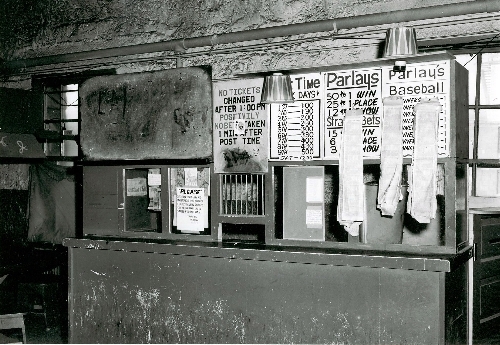 Even during his time in prison, sports betting was rampant. Buying prison tokens has become something of a challenge for Osborne. They are becoming increasingly rare. Occasionally they appear for sale on eBay. His winning bids typically are in the $200 range for a single token. 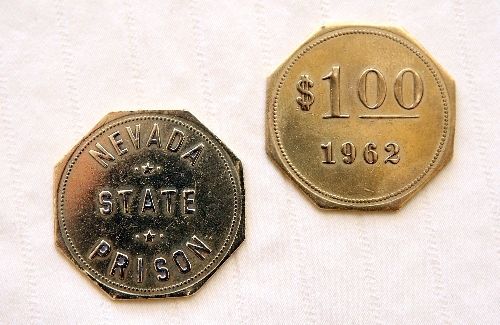 When Warden Carl Hocker — a transplant from the California prison system — closed down the casino in April 1967, he also quickly sold off the brass, which came in denominations of 5, 10, 25 and 50 cents, $1 and $5. "I think gambling in prison is a degradation, and it’s certainly not constructive," Hocker said, according to newspaper accounts. "We’re trying to replace it with constructive, wholesome activities that will contribute to a decent, healthful state of mind." Hocker’s idea of wholesome activities were handicrafts, bridge, chess, pingpong, volleyball, shuffleboard and making bead necklaces. 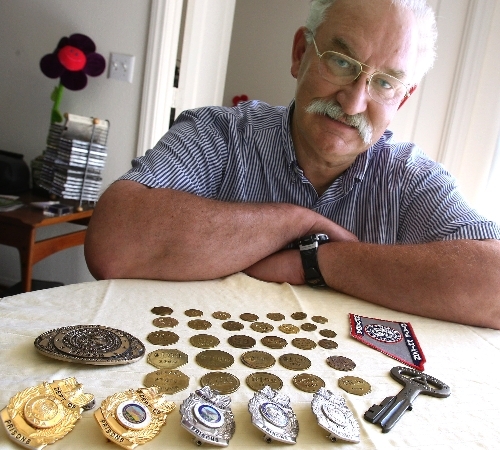 But Howard Herz, a Gardnerville resident who is the state’s foremost expert on gaming tokens, has written about the prison casino and found perhaps the real reason for the casino closure. There had been a riot at the prison early in 1967, and several legislators had introduced a bill to close down the casino. Hocker was a veteran of San Quentin and a no-nonsense guy when it came to discipline. Herz also pointed out the Bullpen wasn’t an illegal casino, but one sanctioned by the state prison. The backgrounds of all gamblers had been checked. "All of the gamblers had their fingerprints on file, and security was excellent," Herz wrote in Casino Chip and Token News in 2006. The casino closure bill wasn’t needed once Hocker took pre-emptive action and bulldozed the Bullpen. State Archivist Jeff Kintop said surprisingly little was written in newspapers about the prison casino up to the time it was closed. He said the thinking of most wardens was gaming would keep inmates out of trouble. The thinking of legislators, according to Assemblyman Howard McKissick, R-Reno, was that gambling prevented "homosexual problems." Frank Johnson, a Nevada State Journal columnist, contended in a funny January 1960 column that it was common for reporters somewhere around the country every few months to discover the prison casino and write how awful that was. "It has been months since the press has been around to expose my gambling den," Warden Art Bernard said in Johnson’s column. "I am getting lonely." Bernard, it seems, was called on regularly to justify the prison casino. He told one reporter in 1957 that it was impossible to prevent gambling by convicts and that the prison casino was supervised by prison guards. "These guys are experts," Bernard said about the inmates who ran games. "You can be sure they allow no cheating whatever." Herz said each inmate who operated a game needed to have enough money to bankroll the game and receive the warden’s approval. He also had to pay a fee of $25 to $75 per game every six months. "That was a lot of money back then," Herz said. "Any inmate that had money could play. They invited guests to come in and play." Under Conforte, horse racing was added to the list of prison casino games. Sports betting was expanded to include all collegiate events. That all would end when Gov. Paul Laxalt brought in Hocker as warden. The old state prison itself could end up like the Bullpen in 2011. Gov. Jim Gibbons tried to close it twice in the last two years, only to be rebuffed by the Legislature and the Board of Prison Commissioners. Gibbons contended closing the 703-inmate medium security prison would save money, although correctional officers challenged his estimates and contended there is no safer prison in Nevada. Under Gibbons’ plan, correctional officers would be transferred to other prisons, as would inmates. With the state facing a $1 billion to $3 billion revenue deficit, closing the prison likely will be on the agenda for the next Legislature. Osborne is a history buff. He thinks it was a mistake to close the prison casino. He also realizes that not many Nevadans are around today who remember the era of legal gaming in the state prison. "Virtually no one realizes we had a casino in our prison," he said. "But it is in our history. It shouldn’t be forgotten."